This post contains sponsored content and first appeared on the Expo International Blog. I’m pretty over our rental right now. It’s furnished, but not my style at all and super uncomfortable. I’m limited on how I can decorate it and since this is (long term) temporary, I’m finding that I need to be extra creative in keeping the flat cheerful. 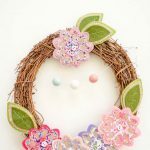 With spring peeking around the corner, I wanted a bright wreath so I turned to one of my all-time favorite craft supplies to help me out. 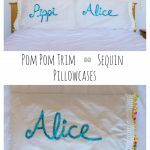 Pom pom trim is so versatile and it just makes you happy to craft with. 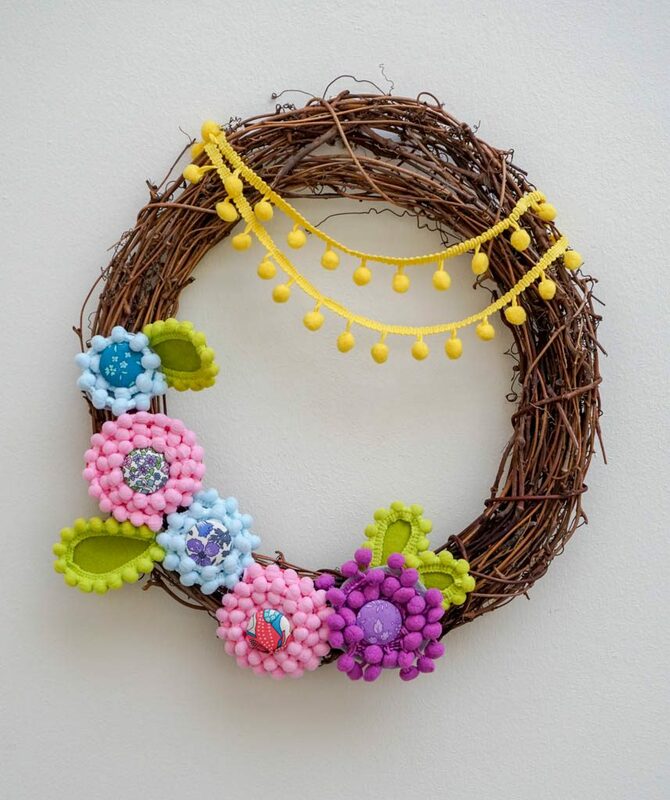 My Pom Pom Trim Flower Wreath is a cheerful addition to our living room. 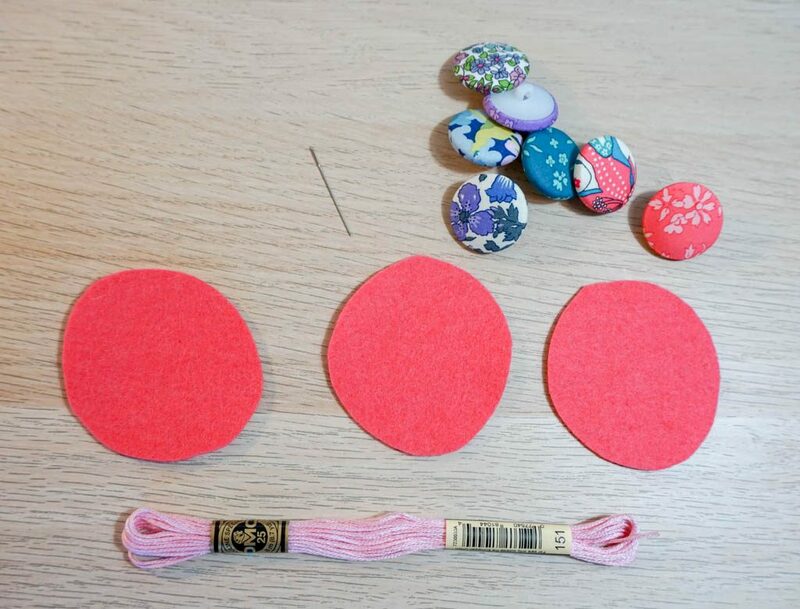 Cut the scrap felt into circles. 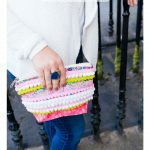 They don’t need to be perfect and can vary in size. 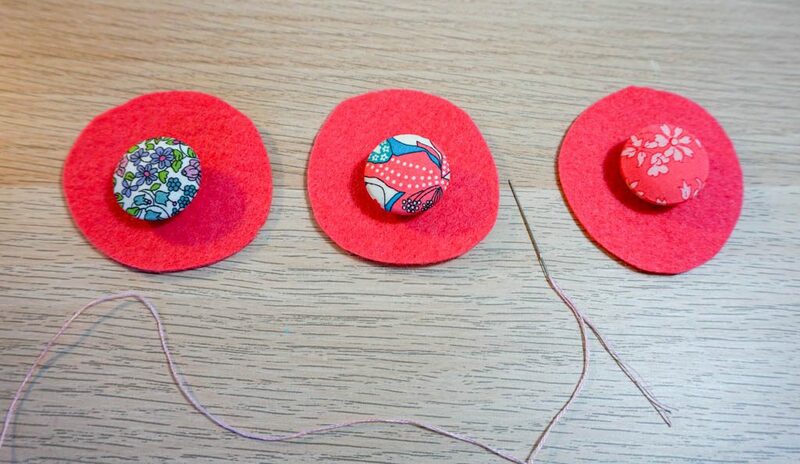 Stitch a button onto the center of each circle. 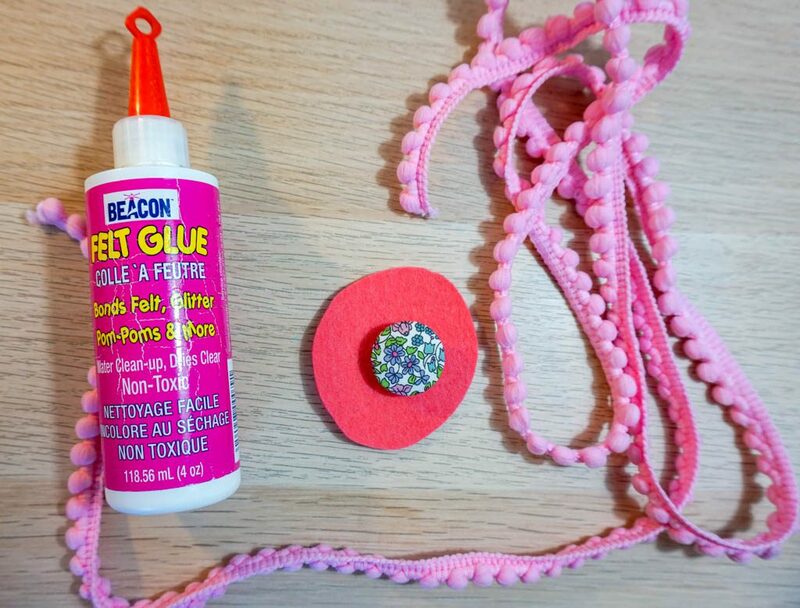 Take your felt glue and cover the rest of the piece of felt. 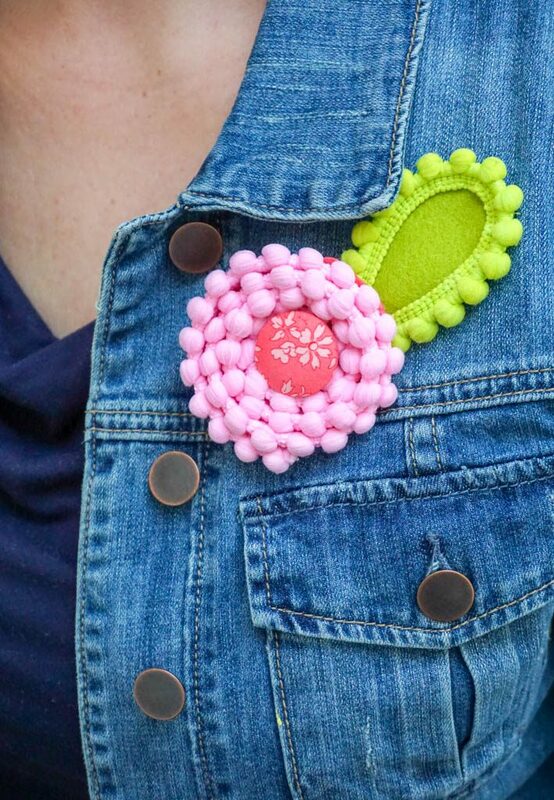 With the flat side of the pom pom trim facing towards the center, start wrapping it around the button. Tuck in the flat side each time you make a new row. Keep going until you reach the edge of the felt. 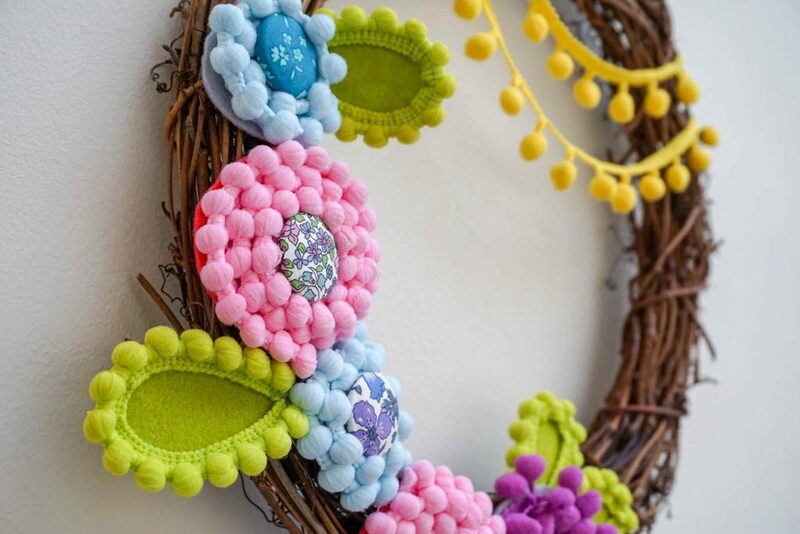 Make as many pom pom trim flowers as you want for your wreath. 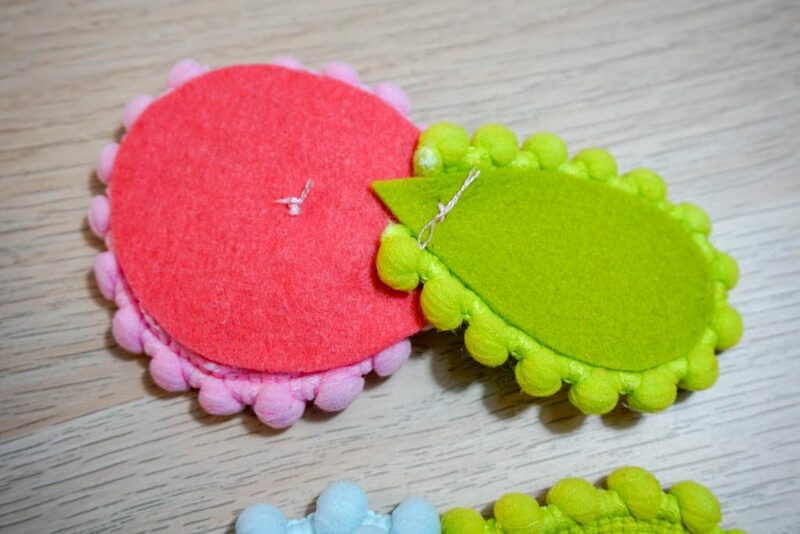 To make the leaves, cut the green felt into teardrop shapes. 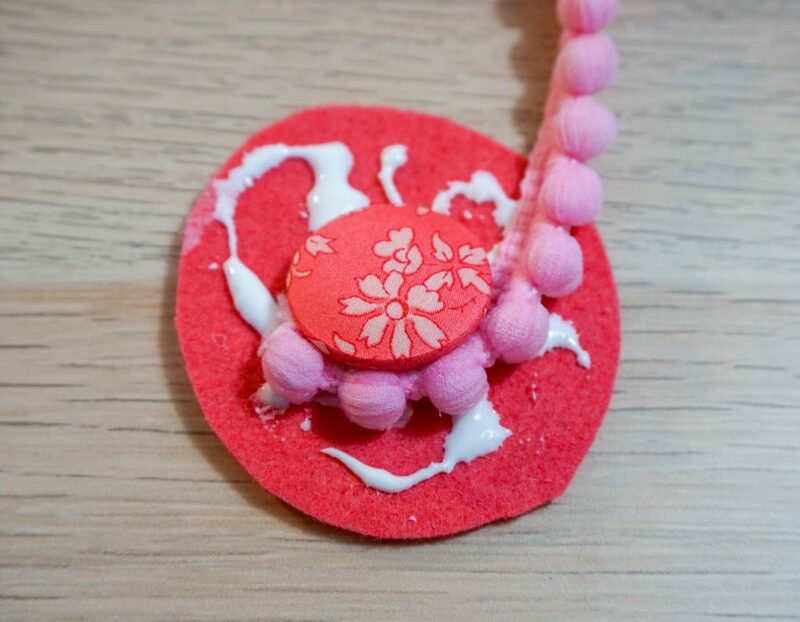 Use the felt glue around the outside of the shape, leaving the point alone. 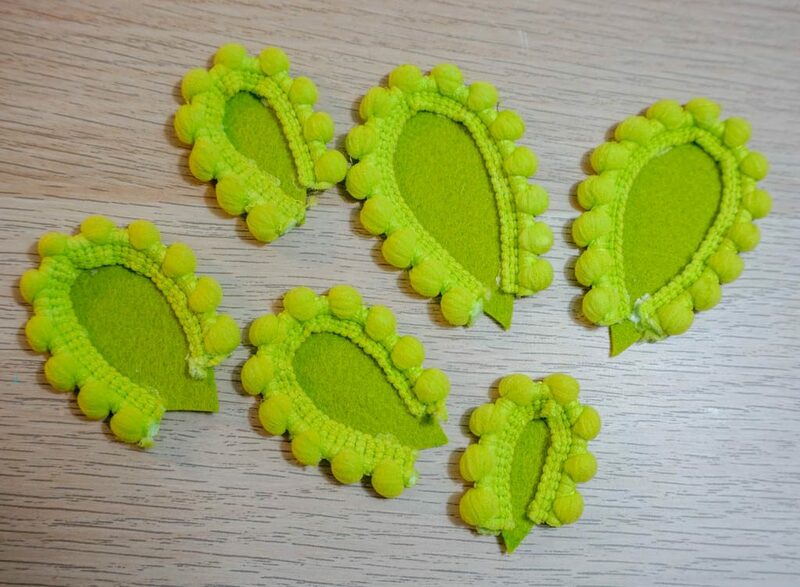 Place the lime pom pom trim on the glue with the flat side facing towards the middle. 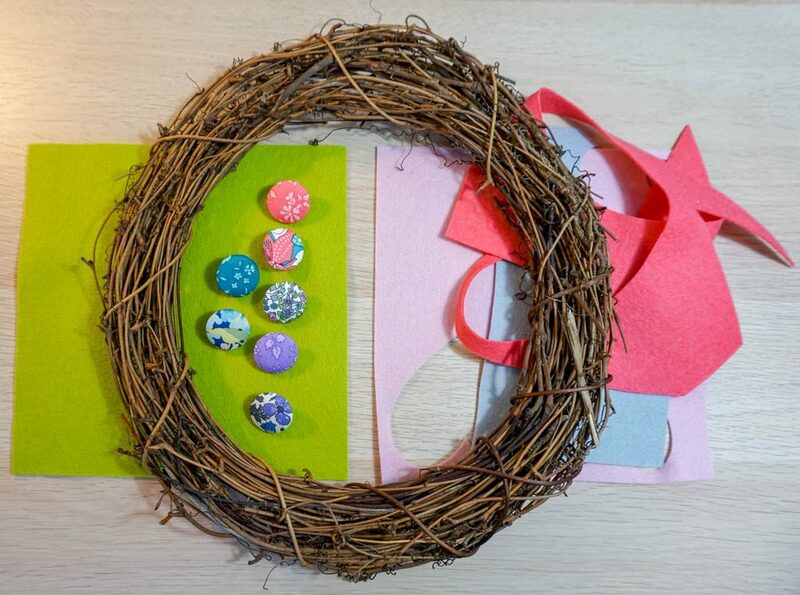 When all of your pieces are dry, it’s time to start assembling the wreath. 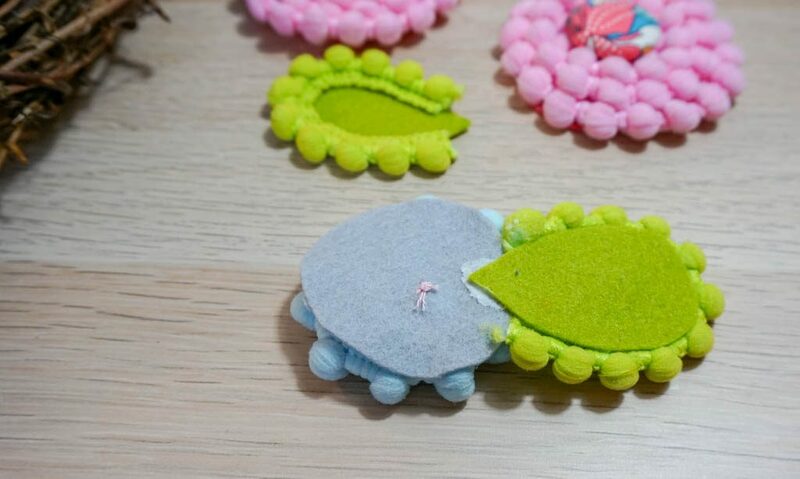 To connect the leaves to the flowers, you can either use more felt glue or stitch them together. 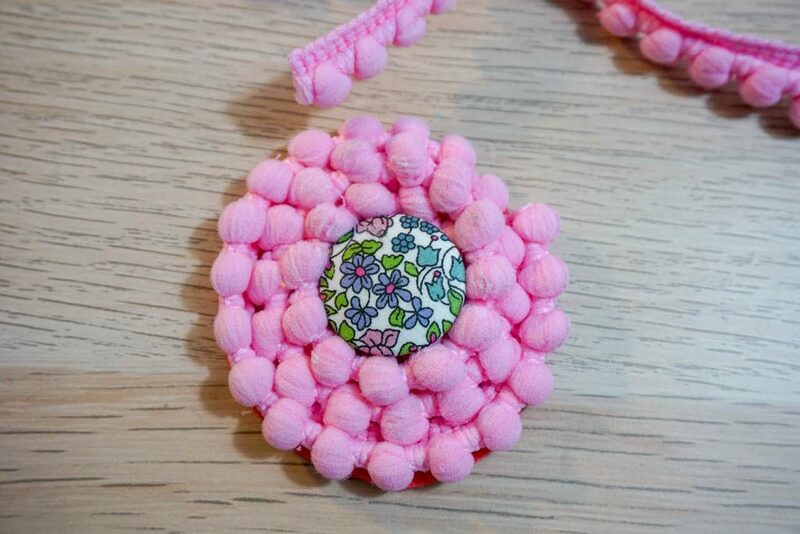 I glued one, but found that I preferred stitching for this part. 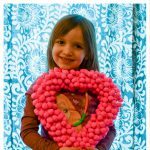 I glued my flowers directly onto the wreath. 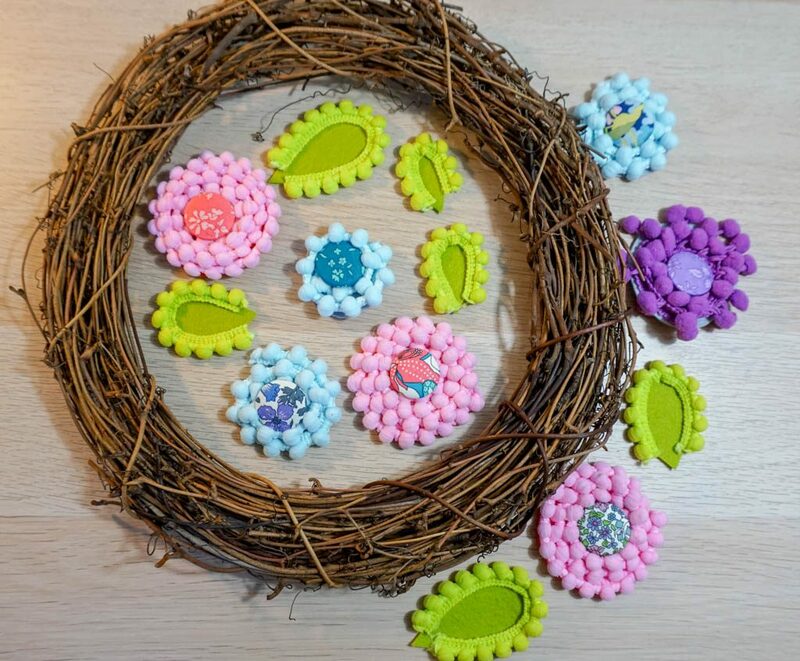 If you feel that the glue isn’t strong enough, a simple stitch through the flower and a piece of the wreath will do the trick. 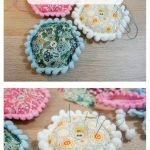 After the flowers are all attached, add a couple of strands of yellow pom pom trim for a bit of sunshine. 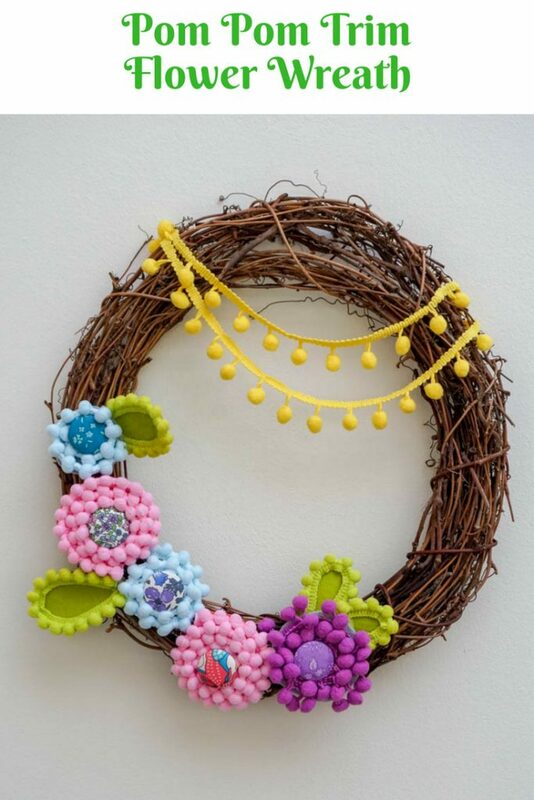 I’m so in love with how my Pom Pom Trim Flower Wreath turned out. 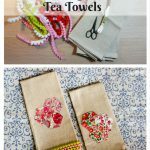 It was such a happy project to make (and so easy!) and adds such a pretty pop of color to our wall. 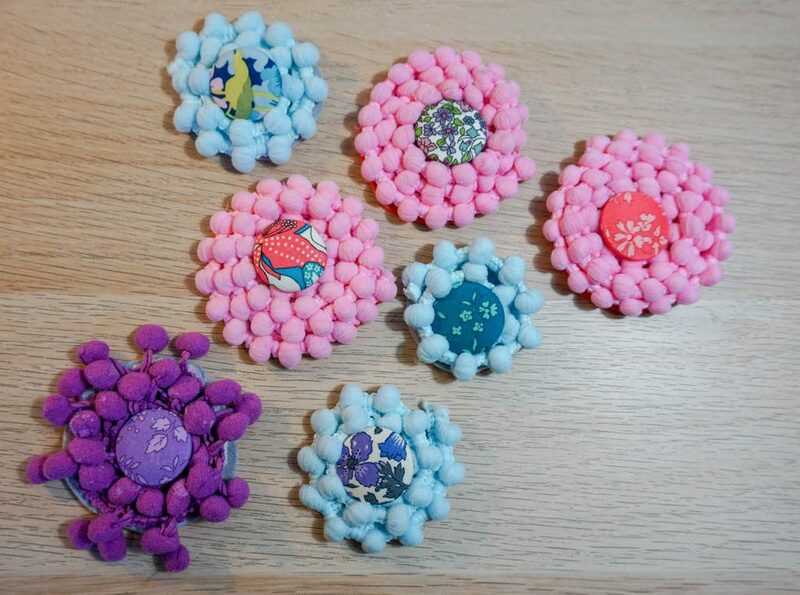 As a bonus, if you’ve made more flowers than you end up putting on your wreath, attach a pin back to one and you have fun spring brooch!